Alison’s piano training included studying with Randy Masters, Cole Dalton, Suzanne Warren and Bill Sussman. She is a professional musician and has been a piano teacher in Palo Alto for over 20 years. Her specialty is working with children and families teaching guitar, piano, singing, and songwriting and is especially patient with beginners. Starting age for lessons can be as early as five years old. I was thinking recently about the seniors I have worked with and the positive impact learning music has had on their lives. I also know that music has been used therapeutically with Parkinson’s patients as well as for people with dementia and Alzheimer’s. Because music is processed primarily on the right side of the brain, it facilitates communication and emotional stimulation for those who have language impairment, often incurred in a stroke or traumatic brain injury. Think you’re too old to participate in music lessons? It’s just not true. Even if your arthritis is severe, you can sing and enjoy the lift to the spirit that music provides, particularly in a group setting. Involvement in a musical activity keeps people of all ages engaged in life and challenges their right-brain functions. 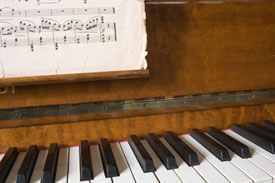 Additionally, people with arthritis are often still able to play the piano. At the very least sit down with your child once a week for 15 minutes and ask them to play what they learned and be sure to be positive. The kids that do best unless they are prodigies are those that are routinely encouraged. Use the time wisely to connect with them and help them see the benefits that music discipline has on many aspects of life and brain function. There is no perfect instrument or perfect result with playing music, it’s about the learning process. I currently teach piano in Palo Alto.